Tactic: Copy and paste a list of event attendees into the EverTrue platform, then filter out all current fiscal year donors. Use the resulting list to create a short appeal for these engaged, non-donors. You can even create an EverTrue giving page that matches the theme of the event for greater effect. 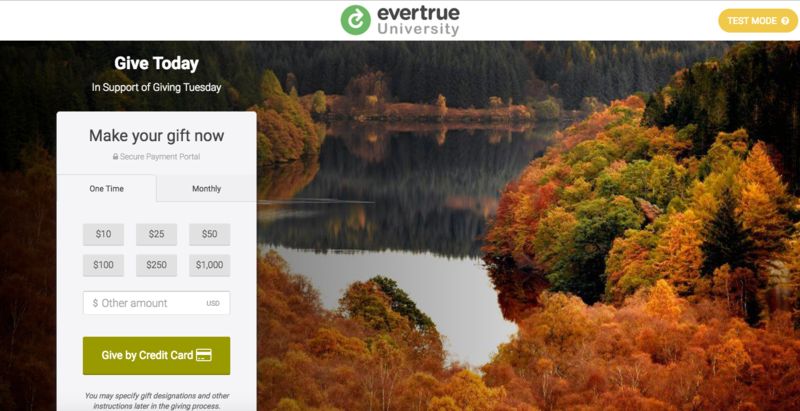 Here's an example of a giving page created with EverTrue's platform. Results: Create a direct correlation between events and annual giving for a unified approach to advancement.